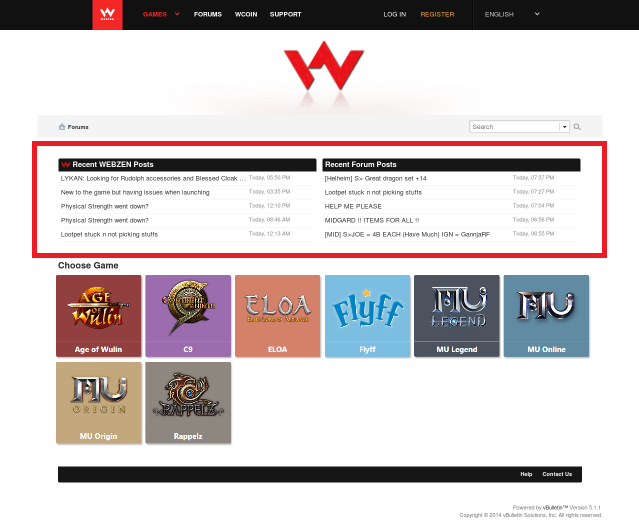 Today we have unfortunately had to suspend the 'Recent WEBZEN Posts' and 'Recent Forum Posts' widget which is shown across our boards. This is a quick fix to improve forum stability and our forum team shall be working on a more permanent solution. As soon as we have further news about this, we'll be sure to let you know. We apologize for any inconvenience this may have caused. All times are GMT0. This page was generated at 08:34 PM.